Sanibel Island Homes: I will assist you finding your beautiful and luxurious Sanibel Island beachfront home, waterfront property, summer home or island retreat and discover the scenic landscape and beaches of Sanibel Island. My website features the best MLS search for Sanibel Island homes, high end condos and beachfront Estates available on Sanibel and I provide real-time MLS data and island lifestyle content. If you are searching for your luxury Sanibel Island retreat, you have found the right place and real estate broker. Whether you are buying or selling a Sanibel Island luxury home, I am here to serve you and be your best resource. Come and enjoy this amazing island life-style every day. I will be your resource in finding the perfect luxury Island mansion, estate, luxury villa, beachfront property, boaters’ home, condo or the perfect golf course view on Sanibel Island. If you find the time please register on my website by just sending me a quick email requesting updates that fit your search criteria or just request a free MLS-Realtor Database account to do your own search. You can email or call me at any time with any question. Sanibel Island feature a history rich in intrigue and adventure. From native Indians, to Spanish explorers, pirates & brave pioneers, the islands have many and fascinating tales to tell. Historians believe that Sanibel were formed as one island about six thousand years ago, as sediment that rose from the sea after being shaped by centuries of storm activity. Dating as far back as 2,500 years, the native Calusa Indians were the first-known residents of the island. The Calusa skillfully transformed the waterways around the island into abundant riches of food and tools. Whelks, conchs, clams, oysters, and other seafood were used for food, and their empty shells were crafted into tools. The Calusa proved to be skilled builders and craftsmen, perching their huts high atop shell mounds to provide protection from storm tides. Some of their shell mounds, which were also used for ceremonial, ritual and burial sites, remain intact today. Famous explorer Juan Ponce de Leon is believed to have discovered Sanibel Island – which he named “Santa Isabella” after Queen Isabella, in 1513 while searching for his “Fountain of Youth.” He and his Spanish seamen battled the hostile Calusas for years, and Ponce de Leon eventually suffered a fatal arrow attack at their hands in 1523, at which time he retreated to Cuba and died. The Spanish were unsuccessful in establishing any kind of permanent settlement. However, their infiltration introduced European disease and slavery to Sanibel, and overcome by yellow fever, tuberculosis, and measles, the Calusa population all but became extinct by the late 1700s. Legend has it that the barrier islands soon became a haven for pirates. “The Buccaneer Coast” attracted the notorious Jose Gaspar to the region in the early 1800s, where it was rumored that he buried his stolen treasure on Sanibel, and then built a prison on “Isle de los Captivas,” or Captiva Island, where he kept his female prisoners “captive” for ransom. Gaspar himself was captured in 1821 by the U.S. Navy, but wrapped himself in chains and jumped overboard off his ship, rather than face imprisonment. Indian raids from the Seminole Wars kept settlers and fisherman at bay and discouraged any permanent settlements on Sanibel for several decades. Although Florida was admitted into the Union in 1845 as the 27th state, it was only after the country’s Civil War that increased military activity was able to secure the area and deem the island safe for settlers. In 1870, the U.S. Government ruled that Sanibel Island would become a lighthouse reservation and, on August 20, 1884, the Sanibel Lighthouse was first lit, and remains a working lighthouse to this day. Pioneer settlement on Sanibel centered around Point Ybel, which is now considered “Old Town Sanibel.” This area near the lighthouse was once the center of the islands activity, where most of Sanibel’s early pioneers passed through. By 1889, there were 21 houses and 40 families living on Sanibel. In 1892, with a population nearing 100, Sanibel built its first schoolhouse, which visitors can now see displayed at the Sanibel Historical Village. As wealthy industrialists from the North, such as Thomas Edison and Henry Ford, discovered the balmy climate and fishing paradise of Fort Myers, they also made their way to unbridged Sanibel Island for rest and relaxation. In the late 1880s, the beautiful Casa Ybel Resort – originally known as “The Sisters” – began their tradition of gracious hospitality to travelers seeking sun, sand and sea. In 1928, the Kinzie brothers constructed docks at the east end of Sanibel, and ferry service provided transportation to the island for the next 35 years. Sea captains and farmers quickly started to homestead the island. In addition to “Old Town,” a village developed at Wulfert near today’s “Ding” Darling National Wildlife Refuge, where settlers planted grapefruit, watermelon and vegetable farms. Inventor Clarence Chadwick converted most of Captiva into a key lime plantation; today, Chadwick’s plantation is the site of the 330-acre South Seas Resort. Famous Americans continued to seek a tranquil retreat on the islands. Charles Lindbergh and his wife, Anne Morrow Lindbergh, frequently visited; in fact, Anne wrote her famous „Gifts from the Sea“ while vacationing on Captiva. President Teddy Roosevelt and poet Edna St. Vincent Millay also came to visit. Regarded as one of the islands’ most influential visitors, Jay Norwood “Ding” Darling first discovered Sanibel on a trip in 1935. A Pulitzer Prize-winning political cartoonist and noted conservationist, “Ding” wintered on Captiva for years to come, and actively campaigned for federal protection of the island’s fragile ecosystem. In 1945, more than 6,300 acres of mangrove, bay and estuary became the J.N. “Ding” Darling National Wildlife Refuge, and today is home to more than 300 species of birds, 50 species of reptiles and amphibians, and more than 30 types of mammals. 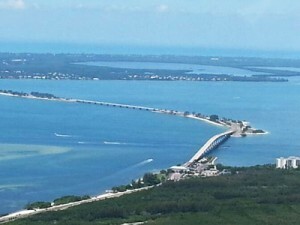 Throughout the 1950s and 1960s, Sanibel and Captiva’s reputation as sanctuary islands attracted more and more visitors. Drawn by its now-famous Florida beaches, shelling, fishing, and nature walks, visitors arrived via a half-hour ferry ride from Fort Myers. Many stocked up for the week at Bailey’s General Store, which is still a mainstay of the island today. The Sanibel Causeway was completed in 1963, and soon threatened to change the face of the island. Many were afraid that the island would succumb to over-development and lose its charm and natural heritage. Eleven years later, Sanibel formed its own city government, allowing residents to control their own destiny in preserving the island. Land use restrictions enacted in 1974 continue to guide growth and development today, ensuring that generations of families will be able to continue to enjoy the special ambience and quiet harmony that Sanibel and Captiva Islands have to offer. For discrete and professional service call me to schedule a private viewing of any one of these great Sanibel Island luxury homes for sale.